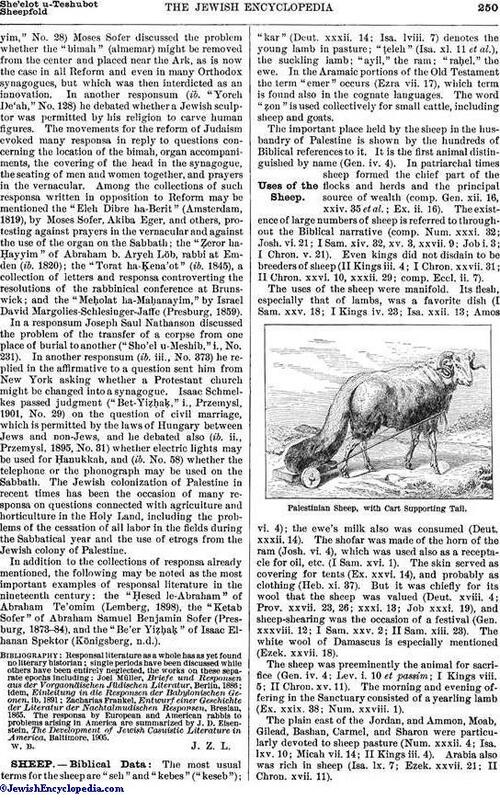 A number of additional terms for the sheep are used in the Talmud; e.g., (Ker. 28b et al. ), (R. H. 26a). 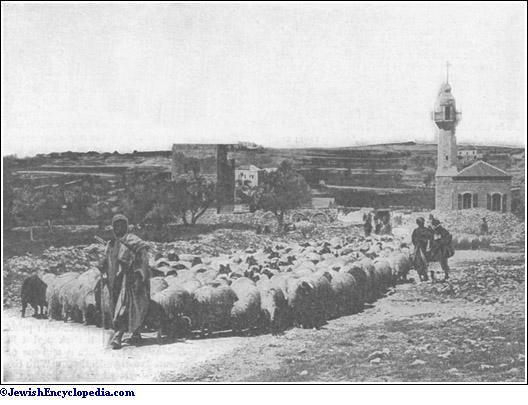 In the first month of the second year the sheep is called (Parah i. 3). The ram is called also ("the male of the ewes"; Yeb. 121b), and in the plural (Ḥul. 39b); while to the great ram the term is applied (Shab. 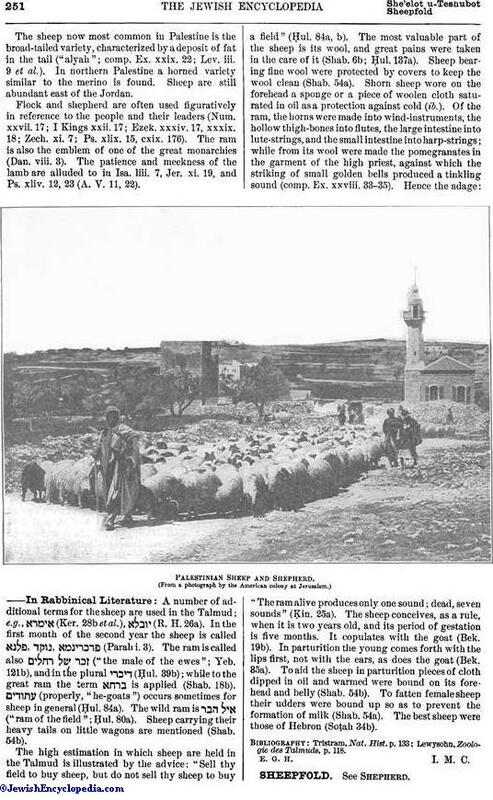 18b), (properly, "he-goats") occurs sometimes for sheep in general (Ḥul. 84a). The wild ram is ("ram of the field"; Ḥul. 80a). 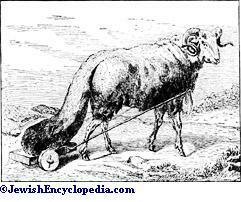 Sheep carrying their heavy tails on little wagons are mentioned (Shab. 54b).